MODERN OFFICE FURNITURE for those who appreciate working in style. 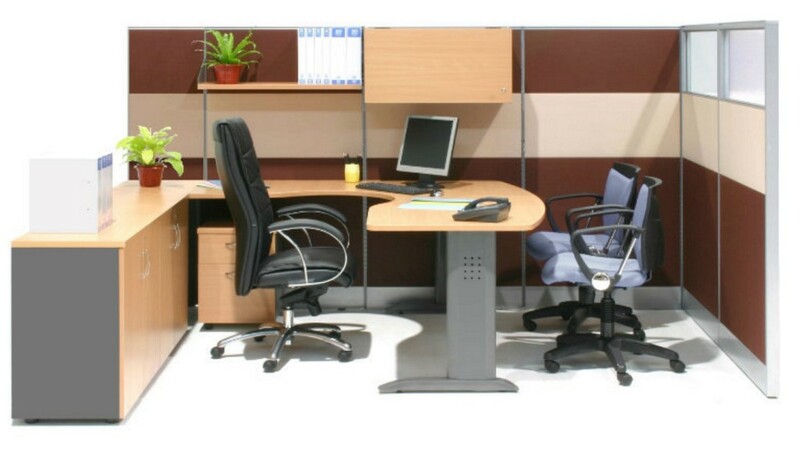 We supply and install office furniture at direct factory price. Satisfaction guaranteed! Office Empire‘s wide range of Modern Office Furniture can be configured to form private office areas for the managers’ workstations. With 1650mm high office partition panels all around above the average eye-level, this naturally creates a semi-privae office work area. The panels at the front are equipped with polycarbonate sheets or clear glass to facilitate easy communications with the general office area. The office workstation is generously planned with all filing and storage within easy reach. Conveniently positioned filing cabinets ensure that office files and office equipments are neatly stored away. Ample space have been allocated in front of the main worksurface for 2 visitor chairs. 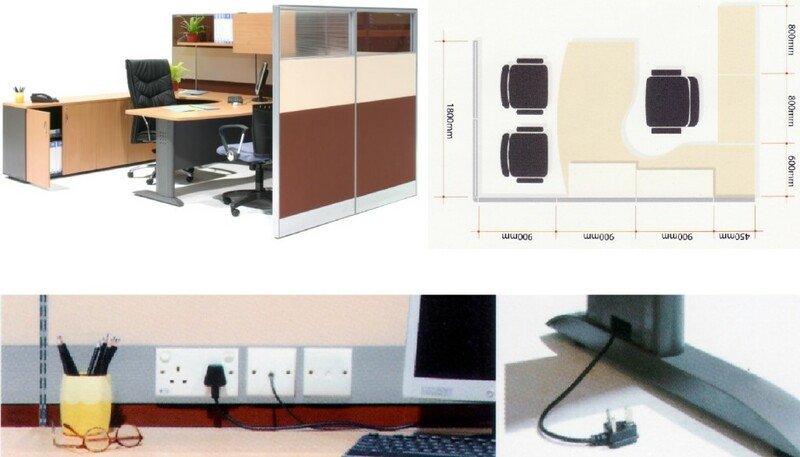 Access to power and communication cables can be achieved either from power and communication points on the panels or directly from the floor through the desk leg. Want to find out more about Office Empire‘s range of Modern Office Furniture, Office Partition Panels or Office Renovation Services? Do drop us a line and we will get back to you!